magnifique: everything happens for a reason! Wearing H&M poncho, Bershka shoes, vintage sunglasses. Definitely going to follow you. 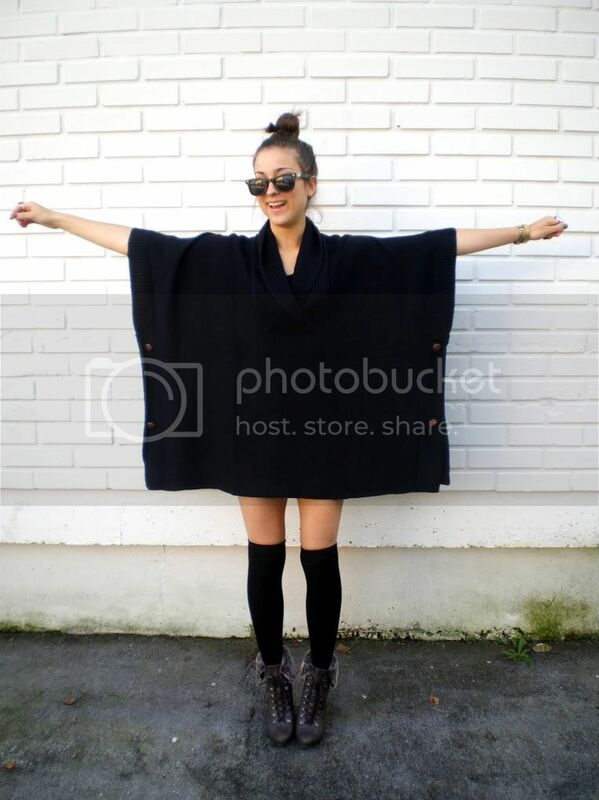 Awesome poncho! It looks really great on you. i have the same poncho. in both black and camel. i cant wait to wear it. its not that cold yet to pull it out yet here. Love your look! Everything you're wearing it's lovely! Great look! Love your shoes and your shades! Simple but amazing look, love it! or possibly guest author a article for you. Here is my personal email: aubreybox@gmail. com. You should contact me if you're even remotely interested. Thanks. browsers and I must say your blog loads a lot quicker then most. My personal email is: harriettcorbin@gmail.com. I'll even sign up through your own affiliate link if you'd like. Hey! This is my 1st comment here so I just wanted to give a quick shout out and tell you I really enjoy reading your articles. both of our websites are primarily based around the same topic. blogger.com/comment.g?blogID=5238091016161776977&postID=5465791321294249174 or website title: Blogger: magnifique. this require a lot of work? I've absolutely no expertise in coding but I had been hoping to start my own blog in the near future. Anyhow, should you have any suggestions or techniques for new blog owners please share. I understand this is off subject but I simply needed to ask. Thank you! mind if I collect some information from here and I will of course credit you as the source. credit and sources back to your site: http://www.